Jim surprised me and was able to get the pictures off my memory card, so I can show you some of the quilts I've been slaving away over. After looking at this picture, I might take this one apart. 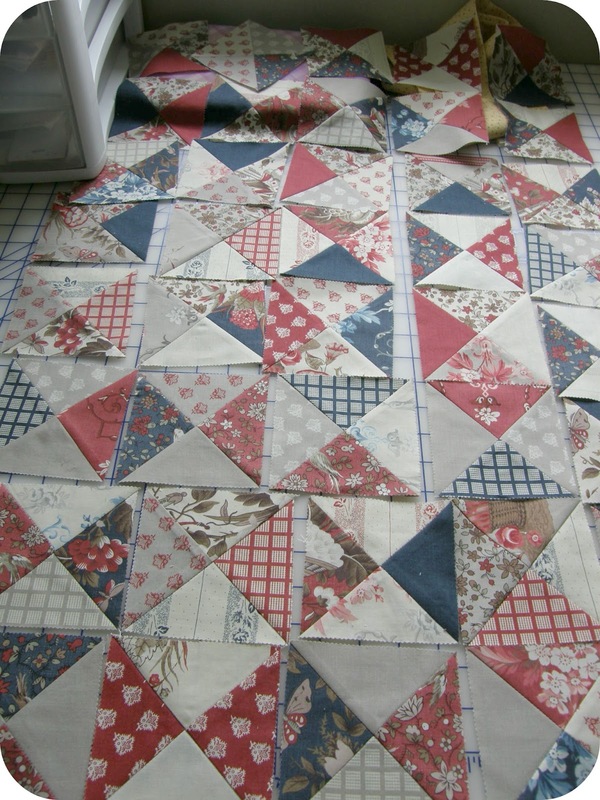 I don't like how I ended up with the matching squares butting up to the border. Going to have to think on this one. 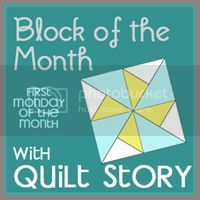 I first blogged about this next quilt here. As you can see, I did decide on adding some borders. I figured I had the fabric, so why not. Than find some time to quilt all these! I'm glad Jim was able to retrieve your pictures - woohoo! Very sweet quilts. yes you are a bust bee lol! they are all beautiful, but the green one pops out at you lol! 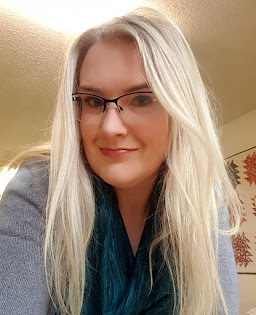 Really like your WIPs. The first one almost looks as if it could use an additional left and bottom "sashing" added (like the other 2 sides). Not part of the pattern but just saying. You are 'motoring' right along!!!! Wow! Those are three lovely quilts you're working on. 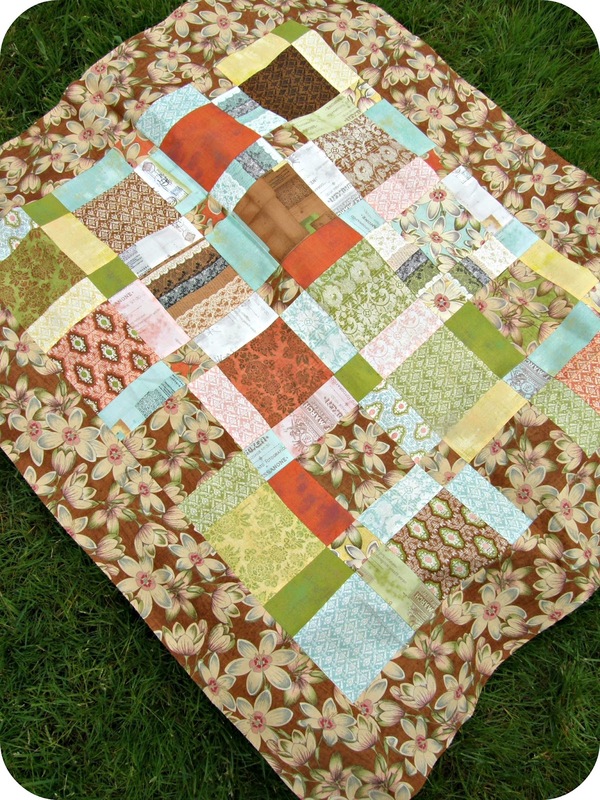 I really like the addition of borders on the awesome quilt - really frames those happy prints. Yes, I can see what you mean about the matching fabrics meeting up with the borders on the first - I think I'd move them too. Wishing lots of fun with the quilting on these beauties! 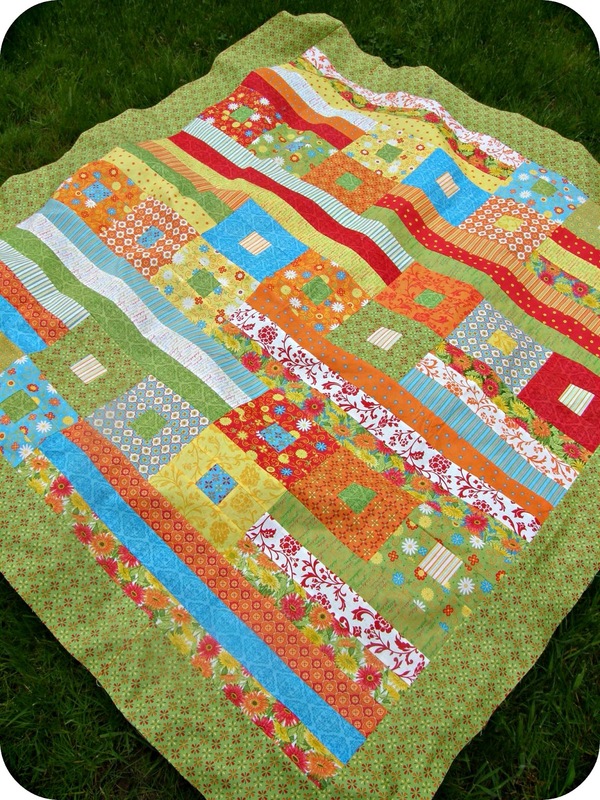 I am in total quilty love with the green one!